Provide comfort for the family of Robert Scott with a meaningful gesture of sympathy. Robert Paul Scott, 69, formerly of Westfield, MA, passed away on Monday, March 25, 2019 at Beth Isreal Deaconess Medical Center. Born in Troy, NY. On December 16, 1949, he was the son of George and Mary Leona (Dupree) Scott. He was raised in Hoosick Falls, NY. Rob retired in 2015, although preferred to express his lack of employment as “ in between jobs”. He graduated from Merrimack College, and relocated to Western Mass. He and his wife, Nancy, resided there for 36 years. He was incredibly funny, wise, insightful, and knowledgeable with a sarcastic, dry, Saturday Night Live sense of humor. He loved to play golf with family and friends, follow the Bruins and Red Sox, travel on long road trips, and was affectionately known as “Back Road Bob”. He appreciated experiencing craft brews and good scotch. He also loved nature and animals, especially ducks, and collected several duck decoys. He enjoyed working in his dedicated woodshop. He and his wife, Nancy and their son Nick, vacationed in NH for 40 years and finally decided that they loved the beautiful state so much, they decided to moved there. He also wanted to be closer to son Nick, daughter-in-law Lauren, and his grandson William (and grand dog Tilly). William loved “Poppie” and would enlist him to play every game and read every book possible. His work as an interior and spatial designer with respect to the design and renovation of, but not limited to, college bookstores included the use of graphic design and interior and exterior architecture. In his retirement, he joined the Board of Directors for the Long Pond Wood Condominiums Association. He served the board to assist in establishing it as a community of trust and cooperation with the intent of it being rewarding, healthy, viable, and long term. He leaves his wife of 39 years, Nancy, their son Nick, daughter in law, Lauren, grandson William, brother David Scott and and his wife Lora, and their children Katherine and Christopher Scott, brother in law Timothy Coyne of Mass, brother Daniel Scott of Arizona, nieces Bridget Crawford of NY, Gretchen Ruebel and her husband Henry of NY, and Suzanne Wells and husband Chuck of Vermont, and several grand nieces and nephews, as well as sister in law Peg Borratto and her husband Mike, also of NY. Visiting hours will be held on Saturday April 6, 2019 from 2-4 pm at the BLAKE CHELMSFORD FUNERAL HOME, 24 Worthen Street, CHELMSFORD. His funeral service and interment will be held privately. In lieu of flowers, expressions of sympathy may be made in Rob's memory to the American Heart Association, P.O. Box 417005, Boston, MA 02241-7005 or www2.heart.org. 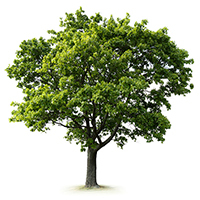 To plant a memorial tree in honor of Robert P Scott, please visit our Heartfelt Sympathies Store. In loving memory of cousin Bobby Scott. So sorry for your loss. Our hearts go out to you all during this very difficult time. Sending hugs. Some of you know him as Rob, but for those of us who grew up with him from Kindergarten through Senior year at Hoosick Falls Central School, he is Bob. He was a good friend (all of our parents were friends) and he was a quiet, kind and gentle soul, but he left a lasting impression on all who knew him. Having had heart issues at a young age, he was the first we ever knew to have open heart surgery in his high school years. He attended our 40th class reunion with his wife, Nancy, and we looked forward to seeing him again for our 50th in 2017. His wrist surgery prevented him from attending but when I saw him just 3 weeks ago at the funeral of another friend, he vowed he would not schedule any more surgery so he could attend our 55th in 2022. Sadly, this won't happen and we will miss him so much. Although our visit was brief, due to the frigid temps of the day, it was so good to see him, catch up on our lives a bit and talk about grandsons and grandpups. Oh how proud he was of Will. My deepest condolences to his wife Nancy, son Nick and his family and to all his friends who were lucky enough to share him all these years since he left Hoosick Falls. Fond memories and we will miss you forever, Bob.